Dairy producers have access to a new genetic-selection tool for reducing morbidity and mortality among their Holstein calves. 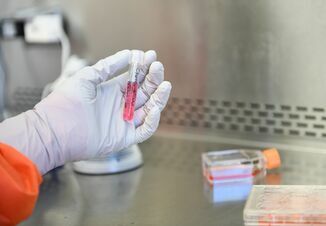 Zoetis announced this week the addition of genomic-based measurements for three calf-wellness traits – livability, respiratory disease and scours – to its Clarifide Plus service. 23.9% of pre-weaned dairy heifers are affected by scours. 12.4% of pre-weaned dairy heifers are affected by respiratory disease. 56% of all pre-weaned calf deaths are due to scours. 47% of all weaned calf deaths are due to respiratory disease. 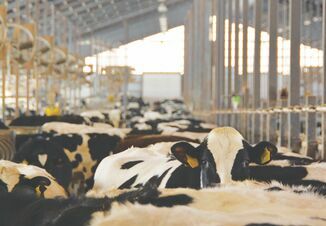 Research has shown that calves with respiratory disease that required treatment produced about 1,087 pounds less milk in the first lactation than calves with no record of being treated. Also, calves impacted by pneumonia during the first 90 days of life are more likely to experience increased age at first calving, higher incidence of dystocia, lower milk production and greater mortality before first calving. Other studies have indicated 2 to 2.5 times greater risk of death before calving for animals that had either pneumonia or scours, respectively. Geneticists have determined that calf livability, risk of scours and risk of respiratory disease are moderately heritable, and lowly correlated with other traits, meaning that adding those genomic estimates to a selection index does not affect the ability of the index to predict other traits. Based on that information, Zoetis developed a new Calf Wellness Index™ (CW$™) to enhance their existing Clarifide Plus genomics service. CW$ is a multi-trait selection index that exclusively focuses on calf wellness traits to directly estimate the potential profit contribution of the calf wellness traits for an individual animal. 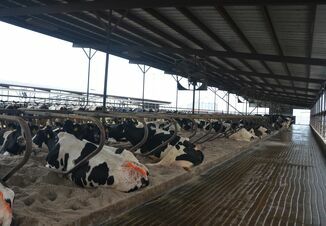 Zoetis has added the CW$ to its Dairy Wellness Profit Index® (DWP$®) to supplement the animal ranking selection available commercially in Holsteins. DWP$ includes all Zoetis wellness traits for cows and calves, along with other economically important production, performance and longevity-related traits. According to Zoetis, the calf wellness trait information helps dairies obtain the full lifetime value of healthier calves by selecting and breeding for animals that have a better chance of becoming healthy, productive cows. The new calf wellness traits help enhance two important financial drivers impacting dairy producers' net farm income — improving heifer survival and lowering net herd replacement cost. For more information, visit ClarifidePlus.com.